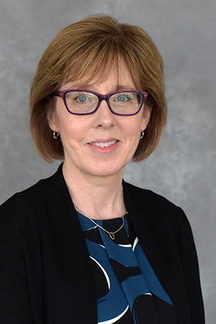 Terri McCarthy, MD, MS, is faculty at the Minnesota Area Geriatric Educational Center. She served as the physician team lead for the interprofessional geriatric education program at Walker Methodist Health Center Transitional Care Unit. McCarthy’s research experience includes falls, urinary incontinence, osteoporosis, care transitions/rehospitalization, and interprofessional teams. Geriatric syndrome assessment and management, geriatric education, interprofessional team care, transitions management, long-term care medical direction, comprehensive geriatric assessment. Lazaroff A, Morishita L, Schoephoerster G, McCarthy TC. Using dementia as the organizing principle when caring for patients with dementia and comorbidities. Minnesota Medicine. 2012;96(1):41-46. Lackner TE, Wyman JF, McCarthy TC, Monigold M, Davey C. Efficacy of oral extended-release oxybutynin in cognitively impaired older nursing home residents with urge urinary incontinence: A randomized placebo-controlled trial. J Am Med Directors Assn. 2011;12:639-647.